The staff was incredibly friendly and professional. The accommodation was great. I enjoyed the fact that the place was very clean as well. The building is close to the sea, restaurants and a few stores. Everything is in a short walking distance. This was a great value for money and I will stay there in the future again. The apartment itself was lovely and almost everything was in it. The only one bad thing was the cleaning. Just once per 16 nights we've got floor moped and second time we had to ask about it. Bulgarian cleaner was useless. About changing towels and beds we had to ask our self too.But the owner is very good and pleasant and all our requests was fulfilled immediately.Freezer wasn't working and the owner brougth us a new fridze/freezer which was very unexpected! One day we found someones poos in a swimming pool,i'd say this area was worst looking after. The area of Sveti Vlas is nice itself,but there is no promenade and no entertainments at all,not for the kids either adults.Too boring. Spent our evenings on balcony. Everything was just perfect. I had excellent vacation. Location great. 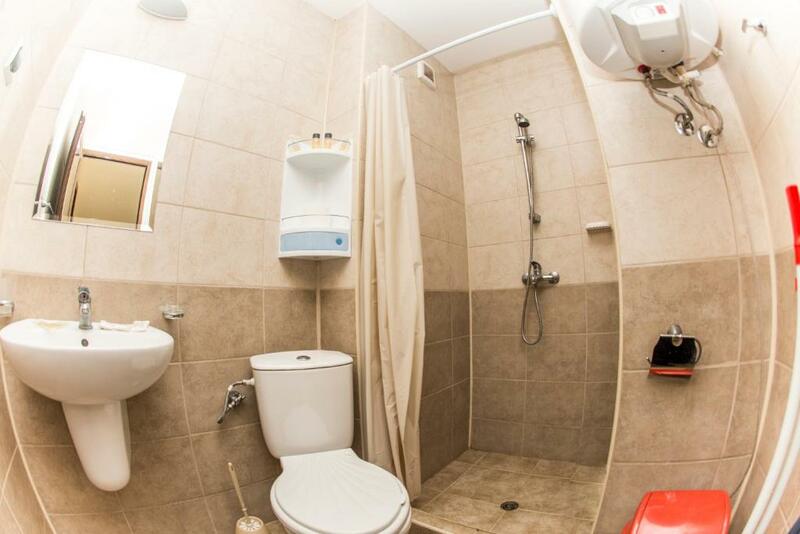 Clean and tidy throughout. Friendly staff. Clean and spacious apartment. The host Dimitar and his team are highly responsive. Very clean and well maintained swimming pool area. Also parking spot available. Sehr schön Platz mit Pool und schon Zimmer mit Terrasse, Strand war am 5 min und Stadt war am 10 Minuten. Sehr gut Hotel nächsten Jahr auch werde dabei bleiben. Хотела е супер. Стаите са чисти и приятни. Хотела се намира близко до морето. Отзивчив персонал! Препоръчвам !! Lock in a great price for Gallery Suites – rated 8.8 by recent guests! Gallery Suites This rating is a reflection of how the property compares to the industry standard when it comes to price, facilities and services available. It's based on a self-evaluation by the property. Use this rating to help choose your stay! 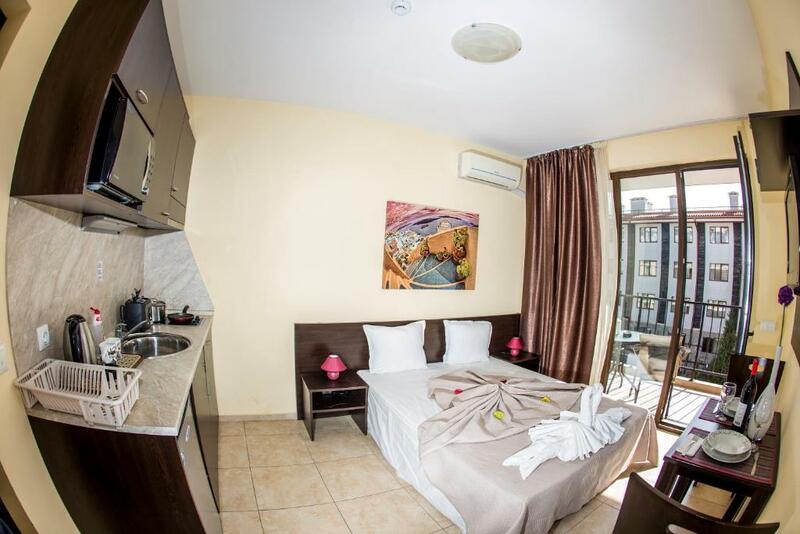 One of our top picks in Sveti Vlas.Gallery Suites is located in a quiet area 800 feet from the sea, in the south part of Sveti Vlas Resort. 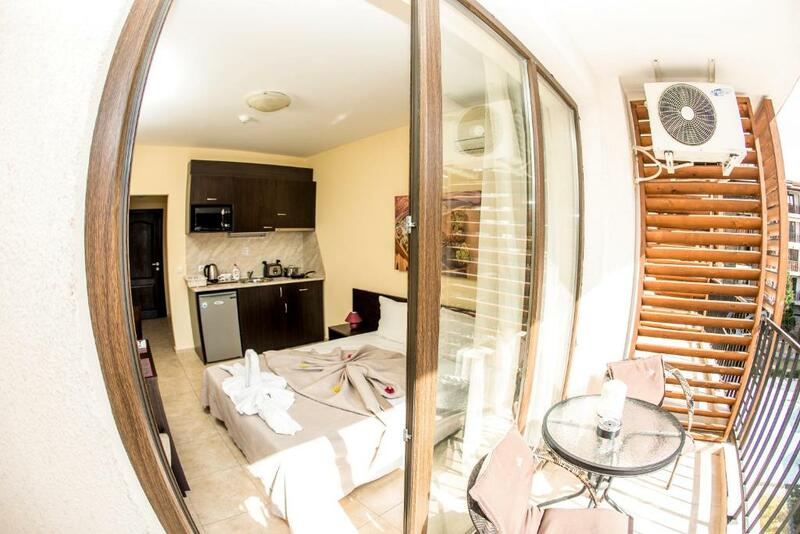 All rooms and apartments have satellite TVs and balconies offering views of the pool. From the rooftop you can enjoy panoramic views of the entire coastline. Gallery Suites also include and outdoor pool with a children's pool and a garden. The newly built marina with numerous shops, restaurants and night clubs is just 10 minutes' walk away. The center of Sunny Beach can be reached by bus within 10 minutes. Yurta is a great choice for travelers interested in family-friendly trips, relaxation and the oceanside. 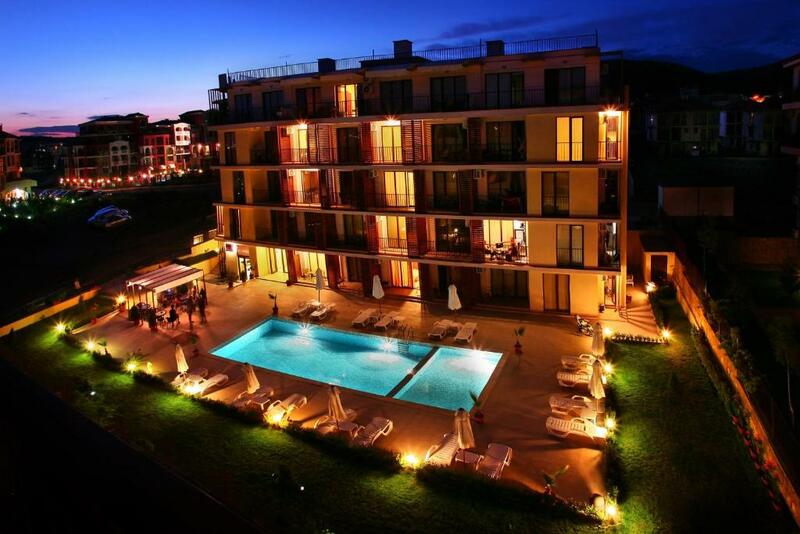 뀐 Located in the top-rated area in Sveti Vlas, this property has an excellent location score of 9.0! When would you like to stay at Gallery Suites? 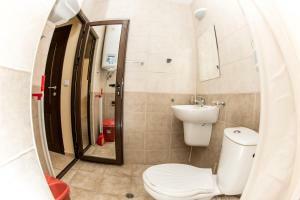 Studio with a fully equipped kitchenette and a south-facing balcony. Apartment with a bedroom, a living room with a kitchenette and a south-facing balcony. Double room with a south-facing balcony. 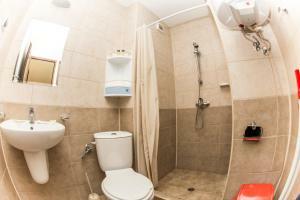 This apartment features a balcony, kitchenette and washing machine. This message is a bit too short. Please edit and add something more descriptive. Area Info – This neighborhood is a great choice for travelers interested in family-friendly trips, relaxation and the oceanside – Check location Excellent location – show map Guests loved walking around the neighborhood! House Rules Gallery Suites takes special requests – add in the next step! All children under 2 years are charged BGN 3 per night in a crib. All children under 16 years are charged BGN 3 per night for extra beds. 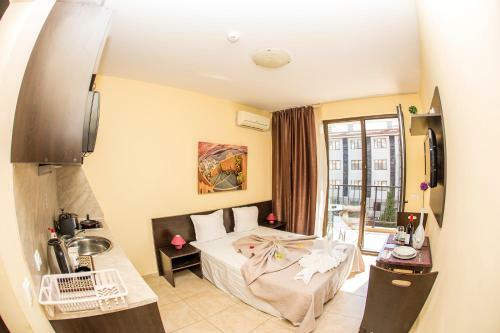 Any additional older children or adults are charged BGN 3 per night for extra beds. 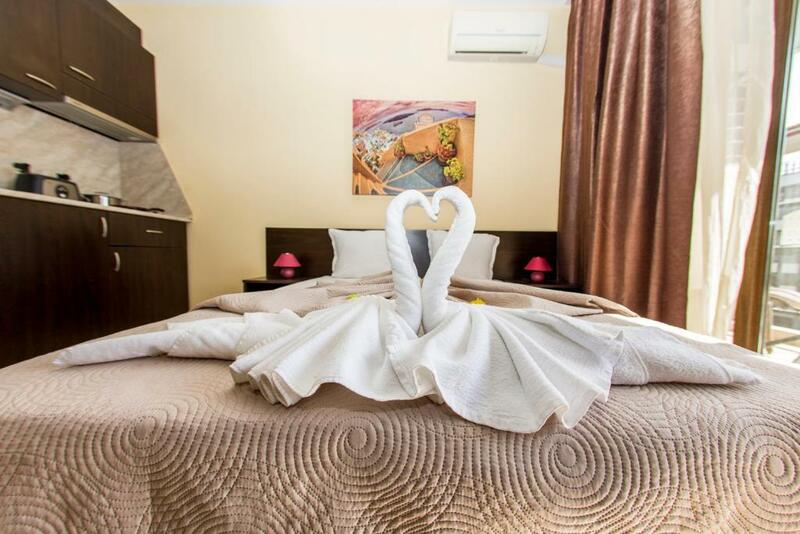 Kindly note that cleaning service as well as change of bed line and towels is provided every 4 days. Cleaning has to be better.In the main bedroom no aircon just a fan suitable more for winter time. Towels has to be change not only by request. Very boring area itself,no entertainments in Sveti Vlas. We didn't find a good place for dinners,very poor quality of food,little portions and bad service. Bad service everywhere and people not friendly. Nothing to do for kids. Very small beaches and always over crowded. Middle of august not the best time for Black Sea as lots of jellyfishes and seaweeds. Shower cubicle was small and could do with an update. Not enough crockery in kitchen. 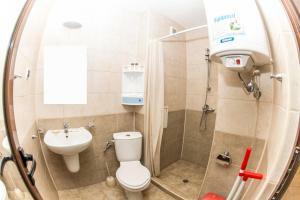 Great location with good access to the sea!